India has come to mean two things, technology and growth. The two are also inextricably intertwined and probably feed each other. 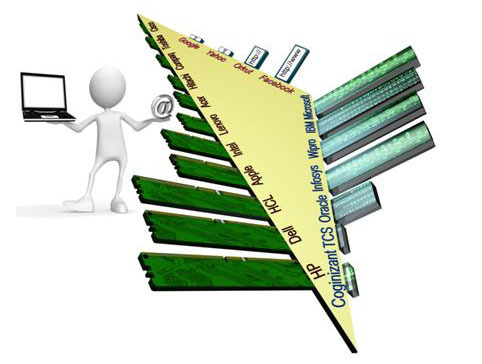 The Y2K acted as an inflection point for India, after which it never looked back and has become the center of the world for processing technologies, both onshore and offshore. Apart from software processing and programming,India’s young millions are taking to computing and the internet, and can be attributed with a high growth. Technology has always been accorded high Category Trust, a dream fueled by the high growth of many companies that benefited millions by way of shareholding and employment over the last decade. With 8 brands in the top 50 list, this category gets a relatively larger share of Brand Trust than others. Among internet companies, the ubiquitous Google ranks way above the others, followed by Yahoo!. 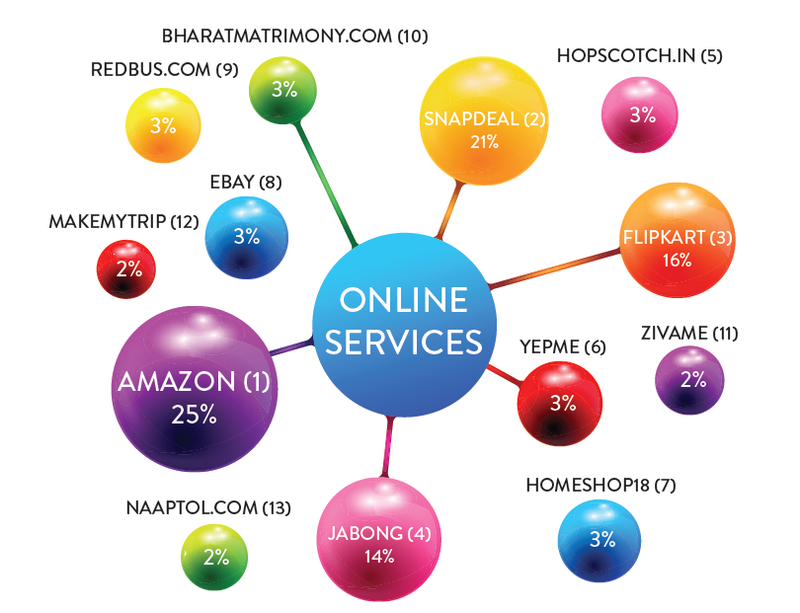 The next ranked most trusted Internet brand is Orkut, the Google owned social networking site which uniquely has the second highest number of visitors from India. Facebook, with its 500 million followers (and growing) only just makes intoIndia’s 300 most trusted brands. 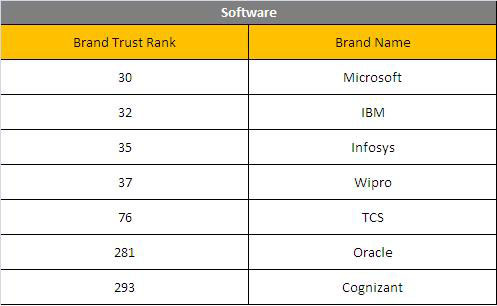 Among the seven software companies that feature in Brand Trust Report study, the top four in order of their rank are Microsoft, IBM, Wipro and Infosys. 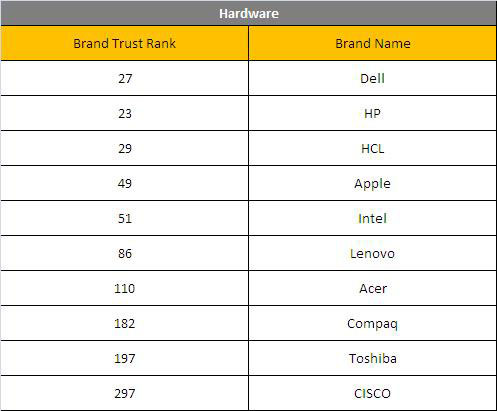 In hardware brands, the most trusted is HP, followed by Dell, HCL, Apple and Intel.